Title: 07/28/1989 - Material safety data sheet requirement of the Hazard Communication Standard. This is in response to your letter of February 21, addressed to Ms. Jennifer Silk, regarding a material safety data sheet (MSDS) requirement of the Hazard Communication Standard (HCS), 29 CFR 1910.1200. The situation as described by you in your letter, where the contact telephone number on the MSDS is a party other than the product manufacturer and only able to provide "basic information" is not within the intent of the HCS. The standard requires that the MSDS contain the name, address and telephone number of the party who prepares or distributes the MSDS. Generally, this will be the manufacturer or importer. If the preparer or distributor of the sheet is a party other than the manufacturer or importer, i.e., an employer or other responsible party, their name, address and telephone number may be listed on the MSDS. 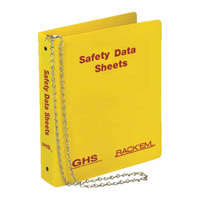 The HCS does allow a responsible party to be named on the MSDS. However, in all cases, the party listed must be able to provide additional information on the hazardous chemicals, or clarification of the information on the MSDS, as well as, additional emergency procedures, if necessary, in lieu of the manufacturer. The Agency will assist you in obtaining a properly completed MSDS for the product. The information you provided has been forwarded to OSHA's Office of Field Programs for further action. We appreciate the opportunity to address you concern. If we can be of further assistance, please do not hesitate to contact us.